Vitalogy Skincare (Georgetown) - Book Appointment Online! 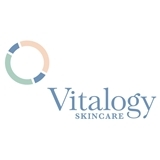 Founded in 2007 by Dr. Eric Adelman, D.O., Vitalogy Skincare is a full-service dermatology practice specializing in Medical Dermatology, Cosmetic Dermatology, Mohs Micrographic Surgery, and aesthetic procedures. Dedicated to your lifelong skincare journey, our team is focused on keeping your skin healthy and looking great. At Vitalogy, we go beyond skincare — we practice patient care. The health of your skin deserves our highest level of care, from acne to skin cancer treatments and from fillers to facials. Not only committed to providing you with the highest level of care, we’re dedicated to arming you with the knowledge and education necessary to care for and protect your skin. Vitalogy. For life, and the life of your skin. Note that while we do accept medical insurance for qualified procedures some of our surgeries and procedures are not covered by insurance. Please call to confirm. He was very kind and did not make me feel uncomfortable! If you need anything checked out in your skin he will give you his best opinion. Yes, I would see this doctor again. My visit with Mollie Jan, DO was a GREAT visit. She always walks in with a happy smile and happy to see you. She starts working on your problem--asking you questions as to when it started, how you are feeling and with no wasted time, she tells you right away what the problem is. I do have trust in her and will continue seeing her. When I leave her office, I feel much better than how I felt when I walked in. Mollie Jan, DO is a GOOD doctor. I thought she was great and very informative! She's wonderful! She answered all my questions and made me feel extremely comfortable. Thank you so much Dr Sayed, you definitely made my commute from San Antonio worth it.